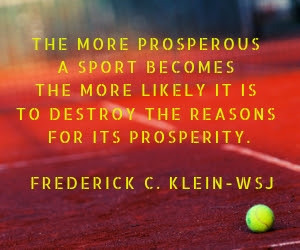 The quote "The more prosperous a sport becomes, the more likely it is to destroy the reasons for its prosperity" is displayed prominently in my office. And while you may not be familiar with it, you're likely aware of the worn-out metaphor about athletics being the "front porch" of the university. Other societal institutions could use the same "front porch" metaphor. Ornate churches are an attractive invitation to God and salvation. Washington DC and governments around the world have incredible architecture and monuments that memorialize promises of freedom, benefits, protection and security. Yet church attendance and donations are waning, and faith in government is at historic lows. Beautiful entryways and attractive architecture can only do so much. College athletics is facing the same challenge. Each day's news cycle brings another troubling headline in higher education and college athletics. Think back fewer than three years ago. 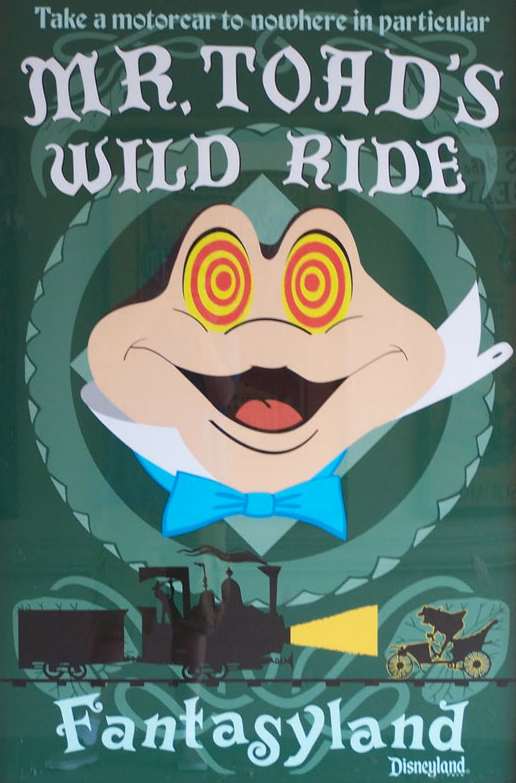 Could you have envisioned the following? significant concerns regarding student-athlete safety and well-being. Systemic pressure to win, life-changing wealth, status, social media and institutional brand consciousness are powerful dynamics contributing to the current state of affairs. Yet each negative story erodes the prosperity of college athletics. It's time to use our prosperity to fix the front porch and rebuild the core of college athletics - holistically educating and developing student-athletes without exploitation. 1) Increased transfers - In an environment that already has significant student athlete movement, allowing students to move without restriction will make transferring more prevalent. Coaching staffs around the country will watch the "free agent list" for their sport to see who has become available and aggressively recruit those individuals. 2) "Tampering" will occur - Any coach will tell you, when a student athlete asks for permission to talk to other schools about transferring, in most cases they're already gone. "Permission" is just a formality and in some cases contributes to the restrictions coaches have attempted to place on where an athlete transfers. Under the new system, although a student athlete has to merely inform their current institution they may leave, the risk of losing their athletic aid provides significant incentive for the athlete to do their research before declaring their intent to transfer. Tampering (influencing someone to transfer to another institution without the student having informed their current institution) will be a level-two NCAA violation, but this will be a limited deterrent because recruiting relationships are essential to providing a steady flow of talented student athletes. AAU coaches, advisers, quasi-agents and others will continue to have a full understanding of the marketplace for student athletes with whom they are close. And coaches will certainly have the same understanding of that marketplace and close relationships with those same individuals. Winks, nods, and "hypothetical" conversations will continue to occur despite the threat of a level-two violation because tampering is exceedingly hard to prove and coaches generally don't turn in their peers, preferring to avoid someone doing the same to them. Just as it currently is, player movement will continue to be negotiated on the front end in many cases. 3) Faster coaching searches and contract changes - The speed required to make a coaching hire will add pressure to coaching searches. Trying to maintain a roster with no coach in place will be more difficult than ever with student athletes merely having to declare their desire to move once a head coach vacancy is announced. The speed necessary to fill a coaching vacancy will increase the need for on-going relationships with search firms and agents in advance of an anticipated vacancy where a coach is being let go or may move to a higher profile program. AD's will have even greater incentive to move quickly in coaching searches because transfers put the NCAA's academic-based revenue distributions at risk. Internal succession of an assistant coach to head coach could also become more likely with familiarity, connections, name recognition and pedigree facilitating decisions - making the advancement of diverse and female candidates more difficult if they are not tied into these networks. The primary reason for many athletes choosing a school is a relationship with the head coach or a key assistant. These relationships will take on even greater importance and departing coaches will recruit directly from the roster of their former institution since the athlete's institutional choice cannot be restricted. I expect to see a new standard contract clause stipulating a coach will not allow a student athlete from their prior institution on the roster of their new institution - a similar concept to buyout clauses requiring a home-and-home series between a coach's former and new schools. 4) Students and coaches will have greater incentive to maximize value and make the market more efficient - Recruiting is an inexact science. Finding the individual who fits in your system, identifying late bloomers, eliminating recruiting misses and maximizing ability to win will encourage both coaches and athletes to take advantage of the new rules. Student athletes will have greater incentive to test their value in the marketplace, just as we have seen with graduate transfer rules. Student athletes have three primary goals when transferring - maximize the value of their scholarship; play more because they're underutilized in their current environment; or play at a higher level to perform against better competition and enhance future professional opportunities. Coaches will have incentives to encourage transfers as well. They will seek transfers who can enhance their team's chance to win by actively seeking students who aspire to play more or compete at a higher level. And student athletes who haven't developed in the manner anticipated by a coach will be "encouraged" to look elsewhere. Coaches will now have additional incentive to have direct conversations with a student athlete about their ability to play in a program since a coach can immediately recover a scholarship once the student athlete is placed on the transfer list - regardless of whether they actually find a new school. Coaches will also communicate with their peers who are indirect competitors at lower tier schools to find landing spots for student athletes who need a fresh start. There are clearly benefits to student athletes in the new transfer rules. Similarly, coaches will utilize the transfer rules to their advantage while administrators attempt to minimize the negative effects of these same changes through contractual clauses and rapid coaching transitions that utilize search firms and agents to facilitate hiring. This morning as I had breakfast with my son Nathan, I was reminded how words and actions can be influential. Nathan calls me the "King of Analogies". I love using them to better explain myself and provide helpful examples. Nathan shared with me an analogy about weight lifting - specifically, bench pressing. The child is the weight lifter and the weights are "the weight of the world." Considering some of the things going on around us right now, I'm sure to a teenager it feels that way. I know it does as an adult. The parent is the spotter. Do too much work as a spotter and the child doesn't get stronger. Don't provide assistance at the right time and the weight lifter gets crushed. Pretty good analogy, right? Nathan was fired up for developing it, and I was fired up that he embraced the power of the analogy. As a coach, leader or parent - what's your approach? Are the the people you have responsibility for getting crushed? Are you doing too much "spotting" - in effect micromanaging and helicoptering? Or are you providing security and encouragement, helping only when necessary? Your approach as a spotter matters. This is the second in a series of posts that will provide guidance on moving your student-athlete survey from a “vanity metrics” activity to a valuable and actionable tool to gain competitive advantage for your department. You have a lot of challenges as an athletic administrator and there is already a lot of “noise” surrounding your program, teams, coaches and athletes. Fans weigh in relentlessly on not-so underground message boards and the media always have their own opinions about what you are doing. One seemingly innocuous tweet can land you in the middle of a firestorm. This information age we are living in is both a blessing and a curse. In an age of ever-present sharing it may be tempting to trumpet your “great student-athlete survey results” to recruit future student-athletes. Similarly, it may seem enticing to allow students the opportunity to like or dislike the comments of their peers. Your decisions to facilitate these things should align with your purpose for doing your the survey in the first place. Is your philosophy one of education, risk management and quality control for your department? Or are you seeking to provide a favorable, but not necessarily accurate, view of your department or team through social media? If it’s the latter, you could be opening your department to legal scrutiny. 1. News outlets are using FOIA requests to review and then write about what your student-athletes are saying about their experiences. Here’s one article from New Mexico which published quotes student-athletes gave during exit interviews. The more you publically volunteer that you are gathering this information, the more at risk you become. Remember the National Enquirer ads that said, “Enquiring minds want to know.”? Well they do want to know now more than ever, so for athletic departments the question becomes do you want people to have to dig to find this information or do you want to advertise that you have it and hand it over with a bow? 2. People sue each other - a lot. Talk with just about any athletic director in 2017, and they can probably share with you a story about either themselves personally, or a colleague who was threatened with a lawsuit. Maybe a student-athlete didn’t like the medical treatment they received or perhaps they thought they should get more playing time. Or maybe there was a coaching change that left them scrambling to find their place in a program and finish their degree. The scenarios are endless and an unfortunate drain on time and resources. Now imagine you posted a row of 5 star reviews about your program on your website. “Jordan” joins a team in your department as a freshman and is really excited to be a [insert your mascot name here!] But as the year goes on, Jordan realizes that being a college student-athlete, maintaining GPA, etc. is a lot of hard work. Perhaps they were the star of their high school team, but now they are sitting the bench - a lot. They go back to those 5 star reviews you posted on your website and think, “None of this was true - this isn’t my experience. I was lied to and I have proof.” Adding fuel to their case is the less-than-full picture shared with selective data reporting, and seeing that you dropped out all of the negative reviews and ratings they can claim fraud. 3. Social Media creates drama. The Pew Research Center did a study in 2015 that showed that one quarter of teens responded that they frequently experience drama on social media. Now translate that to your soccer team. If your student-athletes are posting comments that their peers can then react to, and a quarter of your team ends up arguing on-line as a result, how is that helping you win? How is that contributing to team chemistry and a positive culture? By making their remarks public, rather than dealing with issues privately, you create factions and could be throwing lighter fluid on an already smoldering fire. 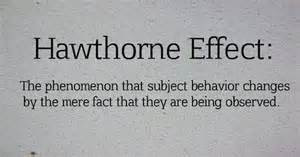 This approach puts the Hawthorne Effect to work in ways that aren’t likely to be beneficial to your evaluation. Some people will tailor their comments to receive a reaction, while others will withhold information for fear of providing personal thoughts that aren’t well received by their peers. It can create some unintended power dynamics on your team that can have lasting negative repercussions. Gathering data about your student-athletes experiences is critical component of running an athletic department and should be handled with care. Aligning the purpose of why you are conducting the survey with your actions, and using a tool built to meet your intentions, is likely the best way to guide your decision making. When you align your core values and work hard to provide every student-athlete a distinctive education and a championship experience, everybody wins. And that news will spread on social media all by itself. 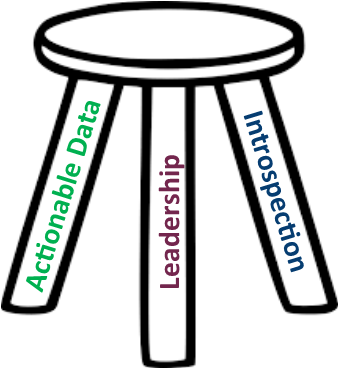 When you collect actionable data, it can support your program in a holistic manner. Read about the top areas where better data can positively impact your department. Athlete Viewpoint is an actionable tool designed by industry experts to alleviate the time and labor your staff spend on this valuable process. Let us do all the work gathering feedback, so you can spend your over-stretched minutes improving the student-athlete experience and making data-driven decisions in a strategic and thoughtful manner. This is the first in a series of posts that will provide guidance on moving your student-athlete survey from a “vanity metrics” activity to a valuable and actionable tool to gain competitive advantage for your department. Survey questions crafted using vanity metrics tend to measure things like satisfaction, hits and likes. Let’s dissect a common example from a student-athlete survey to illustrate the difference. On a five-point scale, rate your head coach. Say the head coach gets an average rating of 4.4 from their student-athletes. Seems pretty good, right? But what does that really mean? What indicators are your athletes really rating them on? What kind of actionable feedback can you give your coach from that question? What should they do to improve? What are they already doing well that they shouldn’t change? And how does that coach compare to other coaches of the same sport at other institutions? This is a great example of feedback that lacks context and has little meaning. Layering in “stars”, “likes” or “thumbs up/down” may look weightier but in the end you still get the same useless data. The average for this head coach is actually the same as in the first example – 4.4. But we now know that by assessing just this one aspect of the head coach – communication - they excel at the day-to-day communication, but struggle when it comes to communicating technical, game-day strategy to their athletes. Now we clearly see that this coach has many strengths that we can build on to improve an area that needs some work. Were you recruited by your current head coach? What is your average level of playing time? Do you have a leadership role on your team? Suddenly you have a much richer picture of this individual on your staff, and more importantly as the AD you are better equipped to support this individual in their development and enhance team success. Better recruiting and retention of student-athletes who are a good fit for the strengths of their coach and overall program culture, thus minimizing transfers and “problem” student-athletes. 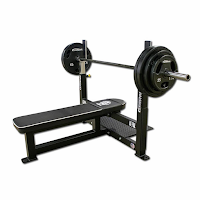 Demonstrate an arc of progress and improvement in your program. If student-athletes rate their locker-room as substandard, the data (especially when used in comparison with your competitive peers) can support prioritizing resources for a renovation. 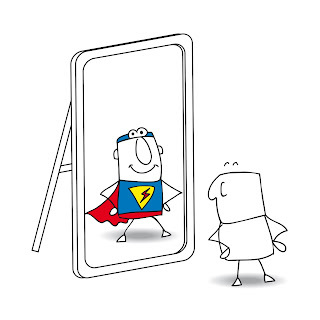 Your Action Item: Review your current survey questions and determine whether they are focused on vanity metrics or actionable data. Do your results help you support measurable coach/staff development? 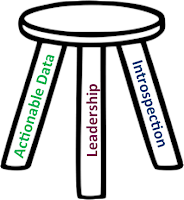 Are you gathering data that supports resource allocation requests for your program to your President/Board of Trustees? Are you gathering information to help you mitigate risk in your program? Do your results demonstrate improvement in the student-athlete experience at your institution year over year? If you are generating pages of results that leave you with little information you can act on, it’s time to invest in crafting a more useful student-athlete survey. 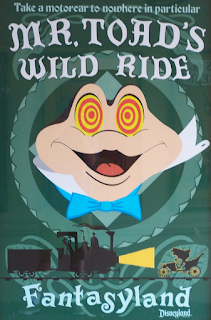 Next Up in Post #2: To Share or Not to Share. In an age of ever-present sharing it may be tempting to reveal your student-athlete survey results. We’ll discuss why selectively sharing your data can put your institution at risk. Athlete Viewpoint is an actionable tool designed by industry experts to alleviate the time and labor your staff spend on this valuable process. Let us do all the work gathering feedback, so you can spend your over-stretched minutes improving the student-athlete experience and making data-driven decisions in a strategic and thoughtful manner. AV was co-founded by Michael Cross, a tireless advocate for both the student-athlete experience and the overworked AD. New Mexico dropping their men's and women's skiing teams. North Dakota dropping women's hockey, men's and women's swimming. Buffalo dropping men's soccer, baseball, men's swimming and women's rowing. Missouri State dropping their field hockey program. Savannah State announcing they will move their entire athletic program out of NCAA Division I and into Division II. Drake and Illinois State announcing they are moving their men's tennis programs to the Summit League which will end sponsorship of the sport by the Missouri Valley Conference. The move was forced by earlier decisions at Stony Brook, UMBC and Southern Illinois to drop their men's tennis teams and Wichita State's move to the American Athletic Conference. This is part of a significant downward trend in the number of schools sponsoring men's tennis. 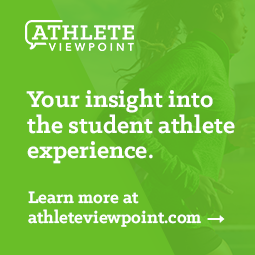 Earlier this week I published an article about the day-long celebration that was "Student Athlete Day" and shared how Athlete Viewpoint can help you make each day Student Athlete Day. I encourage you to check out the article through Dan Tudor's site or learn additional information about Athlete Viewpoint.